Does Your Dentist Suggest To Perform Dental Implants? Dental implants have transformed the area of restorative dentistry with their ability to replace missing teeth with outcomes that appear, function, and feel natural. Before few years ago, traditional dentures were only choice for tooth replacement, which were ill-fitting and needed complex bonding and extra maintenance. It is an artificial tooth replacement option normally composed of titanium. There are numerous implant systems obtainable and when efficiently utilized they all provide extremely trustworthy form of treatment. The primary objective during the placement of any implant is to gain immediate close contact with the nearby bone. Over time further growth of bone onto the implant surface increase the stability of implant. 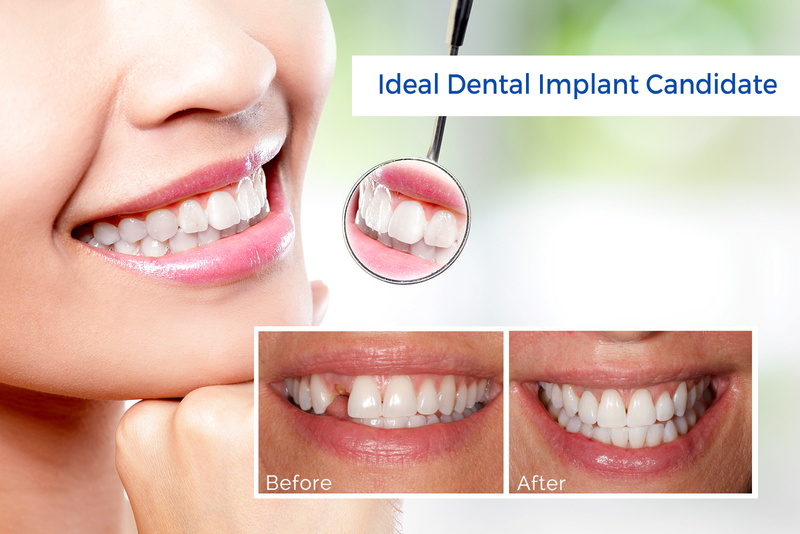 Dental implant is normally having some form of internal screw thread or post space that permits a variety of components to be fitted. Once fitted, these components provide the foundation for everlasting support of crowns, bridges or dentures. How do Patients know whether Dental Implants treatment is appropriate for him? Patients who want to replace a single tooth or multiple teeth. Patients who do not recently have gum disease. Patients who are searching for tooth replacement choices that provide permanent options to dentures with natural-looking consequence. Patients having enough amount of jawbone density to accommodate the implant. Patients are not suffering from medical conditions like uncontrolled diabetes or others that can negatively influence the healing process. Some Patients pick to have dental implants after discovering traditional removable dentures to be unsatisfying. Others lose a single tooth and desire natural-looking alternatives that work the same way as a natural tooth. If you’re bothered by the loss of teeth, we can assist you decide if dental implants or another approach can offer the optimal outcomes. Call us today for more information. Dental Implants are worthy for most adults with fine general health. They can only be used once the jawbone has stopped growing and so normally are not utilized by younger patients. Drinking or smoking habits can grow the number of problems related with initial healing and thereafter may be bad for the long-term health of gum and bone surrounding each implant. Some dentist will reject to place implants if smoking cannot be minimized. If you do not have any medical concerns then tell to your dentist before starting any treatment – it is only in some circumstances that health problems prevent the use of dental implants altogether.